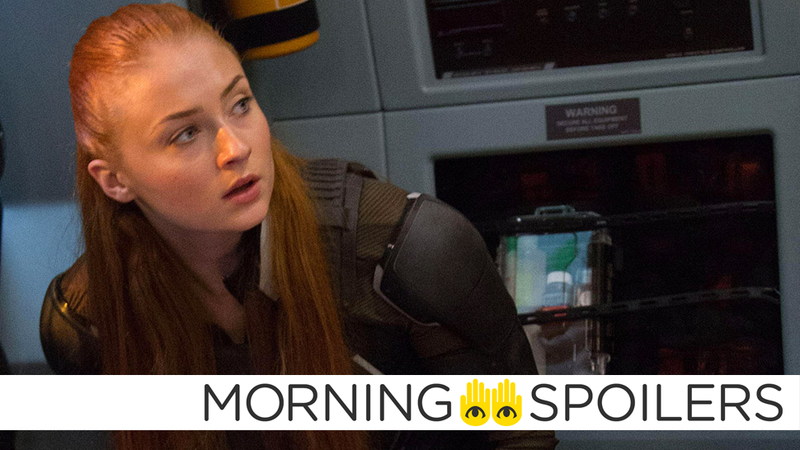 An Original X-Men Star Returns to Dark Phoenix, But as Whom? Margot Robbie dances around the rumored Joker/Harley Quinn movie. Go behind the bricks with a ton of new Lego Ninjago Movie footage. Gotham’s David Mazouz teases a very villainous Ra’s al Ghul. Plus, pictures from the return of The Flash and Legends of Tomorrow and behind the scenes on Star Trek: Discovery. Spoilers now! Daniel Cudmore, the original actor to play Colossus in X2: X-Men United, X-Men: The Last Stand, and X-Men: Days of Future Past, has singed on to the latest X-film—but in an undisclosed role, so there’s a possibility it’s to play another character. Coming Soon asked Margot Robie for confirmation on the rumored Joker/Harley Quinn movie from directors Glenn Ficarra and John Requa. I heard that too. They’re great! It’s fun working with a directing duo, and I love them. I’ve obviously done two films with them so I think they’re just brilliant. I’m personally a sucker for a love story. In any iteration. I think people enjoy seeing two characters who, in Harley and Joker’s case, would die for one another. It’s kind of romantic in a messed up way. Speaking with Cinema Blend, Sebastian Stan revealed he begins filming next month. A new trailer for the alien invasion thriller starring Lee Pace has landed. A “behind the bricks” featurette introduces the film’s cast. Better still, the film’s first ten minutes have been posted to Youtube. Speaking with Rotten Tomatoes, David Mazouz stated Ra’s al Ghul will be up to some “awful, awful very, very controversial things” this season. Yes, absolutely. I would say this is the most evil Ra’s al Ghul. This is the Ra’s al Ghul that will do awful, awful, very, very controversial things that I’m surprised they’re letting us do on national television. The CW has released another trailer for season four that examines Iris and Cisco’s conflicting feelings about the return of Barry Allen. The official Star Trek Youtube page has a behind-the-scenes featurette. Emilia Clarke, after years of wearing wigs to play Daenerys, has bleached her hair in preparation for filming the show’s final season. Finally, here’s a promo for season four of The Last Man on Earth.